Thank you for the opportunity to contribute to the development of Framing the Future, the NSW Government’s Arts and Cultural Policy Discussion Paper. The Childers Group is an independent arts forum for the ACT region established in 2011, comprising expertise across all art forms as well as experience working at the regional, territory/state, and national levels. Since our establishment, the Group has delivered three annual forums attended by over 300 people including representation from the main political parties, held a variety of meetings with major stakeholders such as the Cultural Facilities Corporation and Tourism ACT, and submitted our issues and ideas to the ACT Government, the NSW Government, the Australia Council for the arts, as well as through the media. In 2012 the Group joined ArtsPeak, the national confederation of 30 key arts advocacy organisations. For more information visit www.childersgroup.com.au. Consequently, what follows is informed, considered, and situated in a national policy context. We congratulate the NSW Government for preparing Framing the Future and for seeking community comment. The document identifies a range of issues, opportunities, and actions, many of which will have significant positive arts and cultural outcomes, particularly in challenging economic times which appear to be ongoing. Acknowledgment that the ACT forms a part of NSW and plays a significant role in the development of regional areas – for example, data published in Attendance at Selected Cultural Venues and Events, Australia, 2009-10 (ABS) clearly indicates that people living in the Australian Capital Territory and the Northern Territory were more likely to visit an art gallery (46% and 30% respectively) or museum (46% and 45% respectively) than those living in the states. Additionally, we wonder how much discussion there was between the NSW and ACT governments in the development of Framing the Future. Increased strategic funding relationships between NSW and the ACT, specifically in terms of the arts development of regional communities – there is a clear opportunity for the NSW and ACT governments to work together on an ongoing regional arts development fund to enable mutually beneficial partnerships. For example, enabling NSW regional artists to access ACT infrastructure, and increasing the capacity of ACT arts organisations to provide services in NSW regional areas. Recognition of the advantages of artists basing themselves in regional areas – due to cost-of-living pressures in the major cities, particularly Sydney, many artists are choosing to move to regional areas to progress their careers. While there is limited arts infrastructure in these communities, this is somewhat offset by significantly cheaper rent/house repayments and access to digital technologies (noting, however, that access to digital technologies can also be limited). It should also be recognised that many migrant communities are moving to – or are being settled in – regional communities, with the resultant possibility of rich and diverse arts and cultural expressions and needs. Many NSW regional towns, such as Braidwood, are significant hotbeds of arts and cultural activity, but access to arts infrastructure is limited. Image Source: Destination NSW – Braidwood. A commitment to the development of regional arts infrastructure – we note that on page 12 the following vision is stated: Our aspiration is that the depth and diversity of culture across the whole of NSW, from metropolitan centres to regional NSW, is recognised and supported, and that regional communities have access to the state’s cultural experiences and meaningful opportunities for participation and careers in the arts. 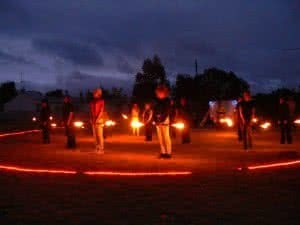 Whilst we applaud this vision, we note that many regional communities have limited or no arts/cultural infrastructure. For example, Yass has no cinema, working theatre, or gallery. Nearby, Goulburn fares better but only in modest terms. The nearest government-funded arts infrastructure to both communities is in the ACT. Arts in education – how will regional and isolated NSW communities benefit from the roll-out of the national arts curriculum? This needs to be better articulated in any NSW arts development strategy. 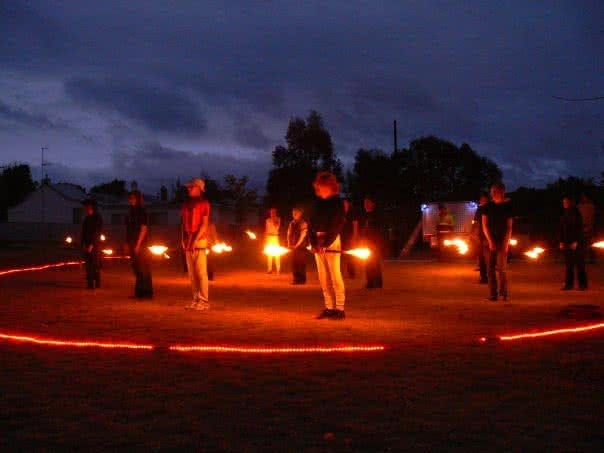 Arts projects in regional communities – there is a need to significantly increase the funding available for the development of arts projects in regional areas, particularly in remote and isolated communities. Further, funding of touring productions and investing in facilitators and associated amenities could assist in rural communities accessing and participating the arts. We note that in regional communities arts activities are often initiated and delivered by an individual with entrepreneurial flair and interest in his/her local community. Few NSW-funded events/exhibitions reach smaller regional communities, of which there are many. In relation to regional development, we draw Arts NSW’s attention to recent investment lifestyle attractors, for example seasonal benefits, regional produce, and ‘arts and craft’. There is significant tourism potential in regional areas and there is an opportunity for NSW and ACT government tourism agencies to broker stronger partnerships to develop the visitor economy. Important: we note that a consultative forum in the regional areas of NSW immediately adjacent the ACT would have enabled these communities to engage with the development of Framing the Future. The Childers Group is available to meet with Arts NSW to expand on the above points. The Childers Group strongly recommends consideration of increased cooperation between the ACT and NSW for the benefit of both jurisdictions. As our cities, towns and regions change and grow, so too must our thinking in terms of providing opportunities and encouragement for our artists to develop and contribute, and nurturing creativity and social engagement within the wider community. With this kind of support, the ACT/NSW region will continue its role as a vibrant, engaged, confident and sophisticated part of Australia. Thank you again for the opportunity to comment on Framing the Future. 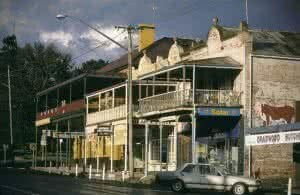 Note: for more information about Destination NSW, the source for our image of Braidwood, please go here.